Pear Therapeutics has retained Hanold Associates for their Chief People Officer search. Neela Seenandan, Katie Traines and Katrina Prospero are leading the search for this role based in Boston or San Francisco. Pear Therapeutics is an innovator with a mission to create a better world by pioneering software as treatment for serious disease. As such, Pear is the leader in the field of prescription digital therapeutics (PDTs), software applications with regulatory authorization to treat disease. At the intersection of biology and software technology, PDTs are a rapidly growing and innovative new frontier in healthcare and can be used to help patients and their families by improving the standard of care for a range of serious diseases. Headquartered in Boston, Massachusetts, and San Francisco, California, Pear Therapeutics has over 100 employees and has seen explosive growth in the past years with plans for continued expansion. The company collected $50M in Series B funding in December 2017 and an additional $64M in Series C funding in December 2018. The company has a pipeline of products from the discovery stage to clinical to FDA submission. Beyond reSET and reSET-O (software that combines cognitive behavioral therapy, fluency training and contingency management to treat substance disorders), they have product candidates intended to treat severe insomnia, comorbid depression, schizophrenia and depressive symptoms associated with MS.
Pear Therapeutics prides itself on being a company of “firsts,” a place for pioneers. They were the first company in their space to receive FDA authorization and continue to innovate in this new and growing field. The company’s employees together stand to create PDTs for a range of serious diseases. 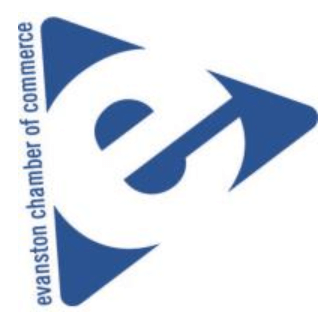 And while their employees may have diverse backgrounds, they share a passion for the company’s mission of treating diseases with state-of-the-art therapies and technology. Reporting to the Chief Financial Officer & Chief Operating Officer, Chris Guiffre, Pear’s Chief People Officer will be responsible for building, implementing and maintaining HR strategy, structure and processes throughout the organization. Working at the intersection of healthcare and tech in an exciting and fast paced new market space, this leader will need to think quickly to bridge the gaps between the two industries. She/he must develop a strong sense of purpose around the culture of the organization and work as a key member of—and in collaboration with—the executive team to develop structure that supports the company’s mission and business objectives. 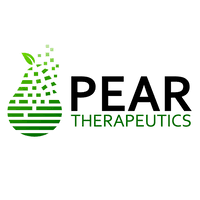 This role will be critical in establishing a robust culture that will empower, engage and connect talent at all levels within Pear Therapeutics and will also serve as a coach across the entire executive and leadership teams.